This trend is far from exclusive to Facebook. Every social media site on the planet has shifted its focus to video. Facebook, Snapchat, Instagram and Tumblr have introduced or expanded their video capabilities and are prioritizing live video in their algorithms. Even LinkedIn recently announced new video features. You get the picture. Today, video is the barrier to entry for a social network, and there are no signs of that slowing down. According to research from Cisco, more than 80 percent of internet traffic will be video in a few years. With all of this in mind, the most important question has become: What is the impact of all of this, particularly for brands? In order to stay relevant and reach consumers, brands are going to have to crank out content at a higher volume. Brands taking 45 days to get a corporate tweet approved are already woefully inadequate. If that same methodology is going to be applied to video, brands are dead in the water. The problem is that few brands are able to produce content that is relevant or engaging enough to draw in viewers that will generate earned media. Brands have to pay to play across all platforms to get their content to rise above the algorithms. Meanwhile, influencers are capitalizing on the disruption introduced by social media to build massive followings and generate millions of eyeballs without paying a dime for promotion. As these influencers grow, it is not far-fetched to think that they may become the brands of the future. We’ve already seen influencers become brands in their own right and leverage their audiences to thrust their products into the mainstream. Utilizing YouTube, Facebook and Instagram as the ultimate acquisition funnel, large and small creators are creating their own intellectual property – selling merchandise, concert tours, mobile games, books and movies. For example, the band We the Kings (which has Charles Trippy, a professional vlogger, as its bassist) reached the No. 1 spot on iTunes with its Somewhere Somehow album, surpassing Beyoncé in the process. Author and YouTuber John Green wrote The Fault in Our Stars, which was turned into a movie and opened at No. 1 at the box office, surpassing Tom Cruise’s Edge of Tomorrow, a science-fiction blockbuster that cost 15 times more to make. Well known YouTubers Grace Helbig, Tyler Oakley, PewDiePie and countless others have all hit The New York Times’ best-seller list, leading HarperCollins to launch a new imprint, HarperLegend, to serve digital creators. Casey Neistat launched his social network, Beme, which was acquired by CNN for $25 million. If brands hope to stay relevant, they may want to re-evaluate the way they spend their advertising dollars. If, over the course of just a few years, influencers have been able to build audiences and rival established authors and movie studios, what else is possible? What happens to the consumer-packaged-goods industry in 10 years if influencers continue to grow and want to launch a soda brand or snack company? 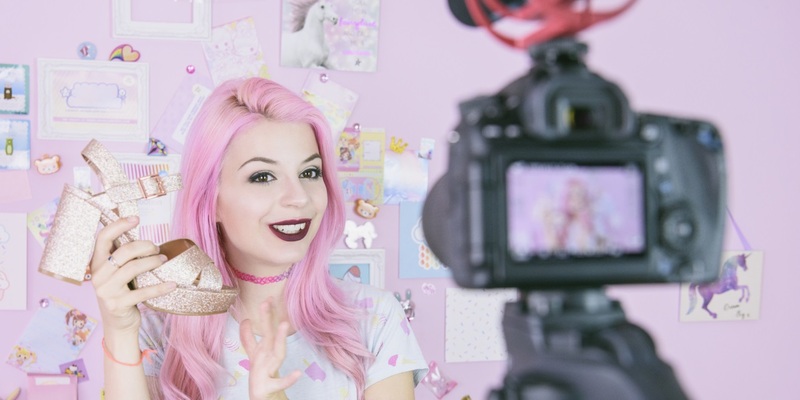 The rate at which brands spend money on media to get viewers, and the rate at which influencers are able to build businesses on the back of (virtually) free media, could lead the two to become real competitors in the next decade. Infamous YouTuber Jake Paul was quoted as saying he wanted to become a billionaire. I think it’s entirely possible. Paul generates 300 million views on his YouTube channel each month, and he became the fastest YouTuber to reach 10 million subscribers.